As usual - Thanks, Shakesphere for posting the pictures. Even Golden Flower Grandma looks good. (OT: Reminds me of the "young" Sun Bu-er who looks younger than her disciple. Thinking: What's if she looks more like XZ's "daughter" in the series?). Looking forward to the actress and actor for XZ and Bat-King respectively. I have NO clue who any of these unknown actors and actresses are. Hope they are good. Last edited by a_tumiwa; 01-21-18 at 09:42 PM. Same here. wuxiarocks did note that the person playing Golden Hair Lion King = OYF in LOCH2017. Not too sure. This one looks "younger and more handsome". Thumbs up for the cast. Main guy is second lead in Fighter of the Destiny with Luhan and gulinaza. He also suppose to play little fish in next proud twins by gulong. Golden flower lady she plays huang rong in romance condor heroes 2014 with Chen xiao and Michelle chen, and she plays in swordsmen 2013 with wallace huo as his master wife. Zzr actress played a princess in princess weiyoung starring tiffany tang, she liked the character ming de in there who at first liked tiffany character. Chen Jun character played by terry fang, he played in ipman with donnie yen, various other old series ie tvb weapon of power, Fist of power, fong sai yuk with dicky cheung, he played in legend of zu 2015 as one of zu master. Golden lion played various jin yong roles like previously stated. Ren woxing in swordsman 2013 or golden wheel monk romance condor heroes 2014. Another interesting note, since Zeng Shun Xi will be Wuji, if he does land the role of Little Fish, that would be similar to Tony Leung, who also played both Wuji and Little Fish in the 80's. Not sure when Proud Twins will start production. If he can manage two series side by side. Yes, Mido-Ban for the linkage. On the whole, did not watch any of the series you mention except ROCH first two episodes and last two episodes. So the actress and actor who played HR and Golden Wheel Monk may have rung a bell. Thanks. Sorry lol I ment zm. 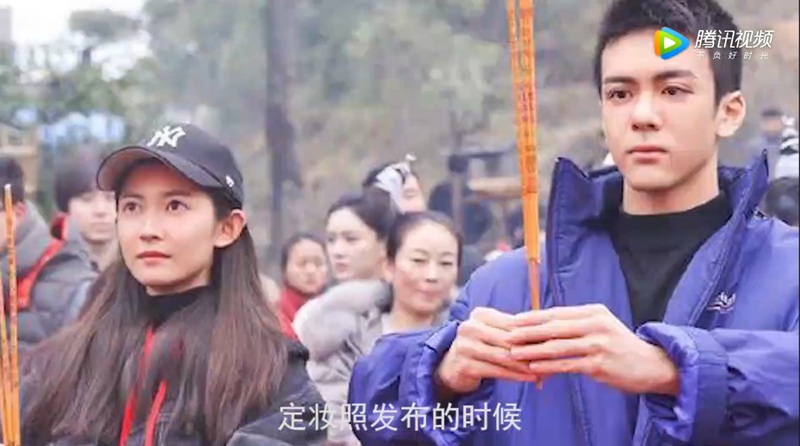 Zzr is played by girl from game of hunting with Hu ge. Forgot her name. Main guy his eyes too big not sure if he can pull off wuji or xiao yu er. In Fighter of destiny he didn't really have much facial expressions on sad scenes etc. Sorry, this zzr does not look pretty. The 86 version with Tony leung had the best hand to hand fights hands down. And even when he did taiji it was legit. I think we can agree there will not be another beautiful ZZR like Gao Yuan Yuan from the 2003 version.